The traditional function of a toner is to help remove any residual cleanser and makeup. By dispensing the toner onto a cotton pad and sweeping it over the skin, it also helps restore some much needed hydration. Remember the swelling and shrinking of the corneoctyes that was discussed in the last section? What about the graph of the skin’s repair cycle? Clearly, the most pressing substance that the skin needs after cleansing is water. And since the stratum corneum’s (SC’s) ability to retain water is directly linked to its lipid and protein contents, it would make sense that adding emollients, humectants, occlusive agents (all of these will be discussed in the Moisturizer section (LINK)), and of course water, would solve the problem, right? And guess what type of skin care product contains these components? Toners! But does that automatically mean they are necessary in the ideal skin care routine? And left a residual layer of soap “scum” on the skin. It was for these reasons that toners needed to contain some amount of alcohol and were claimed to “balance” the pH of the skin. Is There a Need for Alcohol in Toners? As we learned when discussing heavy-duty solvent-based cleansers (like eye makeup removers), which contain comparatively low amounts of surfactants, these types of cleansers break down oil, debris, and makeup by dissolving and wearing down that layer into lots of tiny molecules that are mixed into the solvent, and then rinsed away. Think of how water destroys a sand castle. It’s a similar concept. 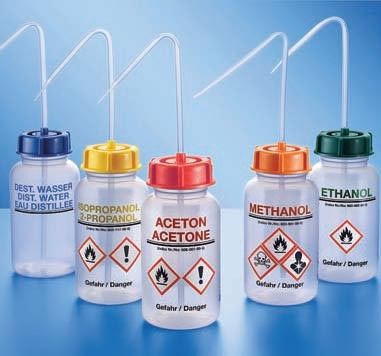 In toners, the most commonly used solvent (other than water of course) is alcohol. Well specifically, denatured ethanol. (The denaturant is some agent(s) that makes the ethanol bitter to the taste, and nontaxable…) It helps remove any leftover makeup; but primarily, the soap “scum” that (true) bar soaps leave behind. Furthermore, alcohol is also the prime solvent choice because it makes the skin appear brighter and tighter, which many people seem to enjoy. These days however, even the most inexpensive cleansers won’t leave a residue, and that includes several syndet soaps, too. The range of quality cleaners available on the market today, completely obliterates a need for true bar soaps, at least for personal care. So there’s no need to include alcohol in toners! Not to mention that alcohol, when used on a regular basis on naked skin (direct contact), will make the skin more sensitive and prone to drying, inflammation, and itchiness–reactions that can also occur from using true bar soaps! It’s true that alcohol can help increase penetration and therefore enhance the efficacy of certain ingredients like glycolic acid, but there are better ways of doing so. But that’s a discussion for another day. 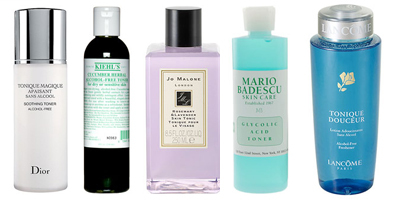 Do Toners Serve to Balance the Skin’s pH? Free fatty acids play a large part in regulating the skin’s (SC’s) pH. The carboxyl group at the ends is responsible. As mentioned above, until the last two decades or so, the most common type of cleanser was the bar soap. It gives a very alkaline pH of anywhere between 9.0 and 11.0. And while the skin has an inherent buffering system that regulates the pH of the skin (every weak acid/base has a buffer region that approximately ± 1 pH from its pKa), that pH is determined primarily by the free fatty acids present in sebum. Guess what happens to most of the sebum when you cleanse with a bar soap? It goes down the drain! There goes (most of) your buffering system. This is the point in time during which the pH of the skin is most susceptible to change. And thanks to the bar soap, the pH of your skin will undoubtedly increase significantly, perhaps as much as one full pH unit or more. These days however, virtually every cleanser (that’s not a bar soap) is altered so that the pH is slightly acidic; some more so than others. For example, specialized cleansers with hydroxy acids give even lower pH values, when formulated properly. So the issue of having to deal with a pH change is pretty much irrelevant now. I repeat, the purpose of a toner is NOT to “balance” the pH of the skin, because the use of alkaline soaps is no longer the norm. Besides, a leave-on chemical exfoliant will be far more effective at correcting the pH of the skin. But we’ll get to that in another series of this publication. However, most skin care companies (to make a quick buck) still perpetuate this antiquated notion, which understandably causes a lot of confusion. Hardly a day goes by where I don’t see someone commenting that toners help “balance” the skin. Fortunately, none of you are one of those people now! “You bet I’m not. So are you saying that toners are not necessary, then? To answer that question, we need to discern what toners these days are SUPPOSED to do, now that we know the two most commonly voiced reasons of using them are obsolete. And penetration enhancers, as they increase hydration, which keeps the corneocytes–the dead skin cells of the SC, from drying out, while remaining porous; thus exhibiting a heightened susceptibility to most topical agents. But are these functions exclusive to toners? As you will see once again when you read the Moisturizer section (LINK), I define “moisturizers” as any leave-on product that contains an occlusive agent, which pretty much makes it an all-inclusive category. The only distinctions I make are for chemical exfoliants and sunscreens (moisturizers with SPF), and those are really just notable subcategories of moisturizers. I defined them like this in an attempt to create a more easily understood standard that’s simple, but elegantly so. NOT doing so, would only create more confusion, contradictions, and exceptions. For example, someone with very oily skin could consider a more emollient and slightly thicker toner, like the Paula’s Choice RESIST Advanced Replenishing Toner as a moisturizer. But a person with dry skin would be like, “Uhhh no.” *snap snap* But really, the types of ingredients used in “toners” and moisturizers” are the same. Between products, these ingredients may vary in terms of concentration, combination, or whatever. But ultimately, they are present for the same FUNCTION or REASON: to protect the skin as well as keeping it hydrated and soft to the touch. Hence, they are all moisturizers. Therefore, toners are simply moisturizers that contain more water and less occlusive agents than most others. Sure, they may contain some non-vehicular beneficial ingredients such as antioxidants and anti-inflammatories, but so do more “standard” moisturizers. And while it can be claimed that toners also assist with removing any residual cleanser and makeup, it’s really the cotton pad or whatever tool is used, that is doing most of the work. 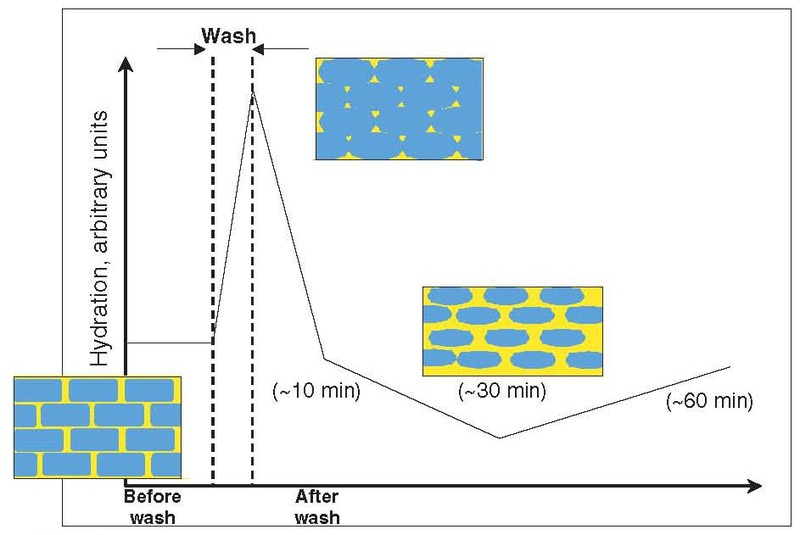 It’s the frictional force of the cotton pad and your fingers, rather than the solvent in the toner (after all it’s basically just water), that’s responsible for the enhanced removal. Similar results can be achieved by using just a slightly damp cotton pad. Besides, a good cleanser should rinse without depositing residue, while liberating the skin of oil and makeup, AND not cause excessive dryness. The skin knows how to repair itself. But with an increased pH, a reduction of both lipid and protein content, the lag time will grow longer and longer. Penetration enhancement can occur two ways; almost all “moisturizers” use both pathways. After the initial cleansing and the excess oil and makeup is removed off the skin, the corneoctyes will swell due to increased water absorption. Then, the overall water content plunges, as the skin is less able to retain its water content. It is at these two maximal and minimal points where the skin is most vulnerable to foreign invasion, which can be anything from Staphylococcus aureus to L-ascorbic acid. Obviously, the mechanisms by which that occurs is different. 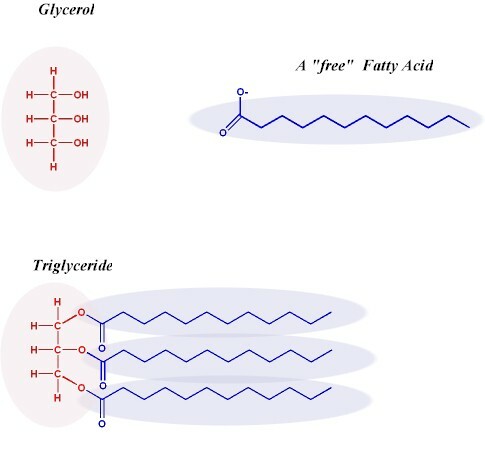 At the maximal point of water concentration, the skin is more porous, which allows more foreign material to “go with the flow.” At the minimal point of water concentration, the skin exhibits a decreased lipid content, which inhibits its ability to prevent foreign material from passing through. But the results are the same: more foreign material can pass through the skin–the SC specifically of course. Since one of the main purposes of topical (skin care) products is to send beneficial ingredients into the skin, penetration enhancement is certainly not a bad concept. However, we obviously don’t want to have to dry the skin in order to do this. So, our only other option, is to increase the overall water content of the skin (to an extent) in order to allow for increased penetration of topical agents. Keep in mind that this increased level of water, if sustained, is not a good thing either. Why do you think a healthy SC is made up of a fixed amount of water (~15%)? It’s because that’s the optimal amount, give or take since obviously, this number will vary between different climate regions and societal behaviors. You there, are absolutely correct! A moisturizer can certainly be the “first line of defense,” rather than a toner, which again, is basically a super light version of the former. Moisturizers can just as easily (if not better) reduce transepidermal water loss (TEWL) by the use of occlusive agents and humectants, while emollients soften the skin, and antioxidants (and the like) help protect the skin from free radicals. Furthermore, moisturizers have their own penetration enhancers in terms of water, since most moisturizers are made up of ~70-85% of water anyways. Not to mention, other penetration enhancers can be used as well. Now, we can answer the final and possibly most pertinent question. They are NOT necessary, because there is NOTHING that a toner provides that a “regular” moisturizer CAN’T! Unlike with sunscreens, it’s really up to the user and what his/her preferences and practices are when it comes to deciding if a toner is appropriate to include in his/her daily skin care routine. That being said, can you receive ADDITIONAL benefits from using both? Well, it depends on a variety of aspects that each person has to factor in when building the ideal routine. I’ve listed a few examples down below to help get those neurons firing. 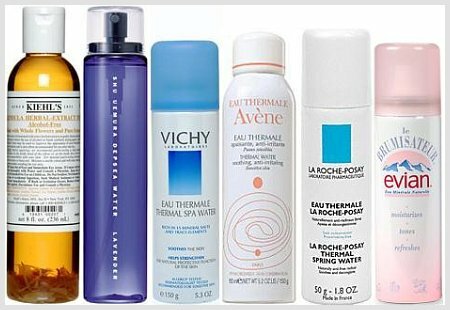 In terms of ingredients I’d like to include in my ideal routine (the “best” ones will be discussed in other parts of this Ideal Routine page; an overview can be seen here) Does a specific toner contain an important ingredient that thus far, is missing from my routine? Along this same line of thinking: Can I not find a moisturizer that contains this missing important ingredient? Is even worth finding a moisturizer or reconfiguring my current routine to include this missing important ingredient, if I can instead get it from a toner? Would and does including this toner in my routine, make a meaningfully impact? Would: On a theoretical level, is the missing important ingredient present in a high enough concentration to be beneficial? Does: After implementing the use of this toner for a good amount of time, has it made a difference to my skin? What about compared to just using water? Other than the physical benefits discussed above, does using a toner (or a “milk” as referred to in several Asian countries) elicit a positive emotional response? What about a possible placebo effect? Would removing the toner step cause me to worry or doubt the efficacy of my routine? Toner or moisturizer? They’re the same thing! Decide for yourself whether or not using a “toner” is beneficial! It is my hope that after reading through this and asking yourself those kinds of questions, you’ll be able to decide if there’s a need to further complicate your routine by adding a toner. Rest assured however, that as long as you apply your regular “moisturizer” soon after cleansing (this is why dermatologists recommend doing so, in order for the moisturizer to be “effective”) and it contains non-vehicular beneficial ingredients, the TEWL will be minimal and the skin will be more protected. Adding a toner wouldn’t really have a significant effect. Furthermore, you can have your chemical exfoliant be in a liquid toner-like form, and that can be your “toner” or “moisturizer” depending on your cognitive definitions and topical requirements. So are toners necessary? As it turns out, the answer is, “No.” It really is up to the individual. I’ve been using the PC moisture boost moisturizer because my skin is so dry it will spontaneously erupt in SCALES when the weather gets even a just a smidgen drier than normal. I recently read your post on futurederm about not using niacinamide and ascorbic acid together and I was wondering if that means that the antioxidant benefits in my moisturizer are nil. It contains both niacinamide and an ascorbic acid derivative. Additionally, would it be ill advised to use the RESIST super antioxidant serum [also by PC] in conjunction with my moisturizer then [as that also contains an ascorbic acid derivative]. No, it’s fine to use niacinamide with any vitamin C derivative. The complexation issue deals with the pH of properly formulated L-ascorbic acid products–something that none of the moisturizers you mentioned contains. Therefore, you’re in the clear. In the post you mentioned that all [or at least most] of the vitamin C derivatives covert to L ascorbic acid in order to have vitamin effects on the skin. If there is no problematic interaction, is it just that the products I’m currently using are not giving me optimal vitamin C benefits? Additionally, is it advised to apply my antioxidant serum [I mix it with the PC C15] immediately after exfoliating [either with AHA or BHA]? Or should I wait? I know Vitamin C tends to be absorbed best at a lower pH, but most of my BHA products have pHs around 4 so I’m hesitant to do so. Currently, in the morning after cleansing I apply my BHA exfoliator. I wait several minutes and apply a mixture of my super antioxidant serum + the C15 super booster [both by PC]. I wait 30 mins or so, then I move on to moisturizer [Cetaphil Daily] and sunscreen. Is it advised to wait those 30 mins [I want the vitamin C to have time to absorb and take effect] or is it okay to immediately apply my moisturizer? In the evening, after cleansing, I apply an AHA product [olay regenerist night resurfacing elixir or any of the PC AHA products]. After 10 mins or so I apply the super antioxidant serum [without the C15 super booster as I’m afraid of the LAA interaction with the niacinamide in my moisturizer]. About 45 to 1 hour after applying my serum, I go in with the moisture boost moisturizer and my eye cream [the eye repair cream by Cera Ve which is loaded with niacinamide]. I’m constantly worrying that I’m not spacing my products properly, or am combining ingredients which shouldn’t be combined] and rendering all my efforts moot. Yes, vitamin C derivatives need to convert to L-ascrobic acid in order to function in the skin. However, that conversion process is an enzymatic one, during which an external pH change has little effect on its efficacy. Therefore, it’s not something to worry about. Yay! Now, you can certainly apply your antioxidant serum right after you exfoliate, since the pH values of the PC C15 and the SA/AHA exfoliants are very similar. Also, you don’t have to wait 30 min before applying the Cetaphil moisturizer and sunscreen. 5-10 minutes should be fine. The difference in terms of efficacy between you waiting 10 vs 30 minutes is small, assuming that you don’t mix the two products; layering is just fine. As for your evening routine, you again don’t have to wait that long; waiting a few minutes in between subsequent applications is just fine. You also don’t have to worry about the niacinamide in the Cerave eye cream interacting with the low pH of the Olay Elixir, since there are a few layers of product between them. Plus, even if niaincamide is used in a low pH range, there’s no L-ascorbic acid to participate in the complexation process. You skin might just turn red. But since you’re about to go to bed, who cares, right? Ultimately, you don’t need to worry much about the timing of applications. And even if you were to combine certain ingredients that shouldn’t be combined, all of your efforts would NOT be moot. Even when combined, these ingredients will still work. They will just work less effectively than if used separately. I have dry and acne-prone skin, which has been clearing up for the past couple of weeks because I’ve started a new routine with tretinoin and Paula’s Choice 1% BHA (alternating them every night). My skin has been dry and flakey ever since I hit puberty and these products have been really drying. I don’t want to remove them because I’d still rather have dry flakey clear skin than dry flakey skin with acne! In the morning, I use cetaphil gentle face wash before Hada Labo Hyluronic Acid Lotion, Bioderma Atoderm Creme and Sunplay Skinaqua SPF50+++ UV Moisture Milk White. In the evening, I use L’oreal gentle eye and lip makeup remover, then cleanse with the cetaphil and after that either the BHA or tretinoin, followed by the bioderma creme. Will adding (another) moisturizing toner solve this problem? What am I doing wrong? I’m really at my wit’s end here! Hm, that is interesting. Your routine appears to be pretty good, except that the Bioderma cream seems far too emollient. While mineral oil can be a good occlusive agent, it does nothing to soften or reduce flaky skin. 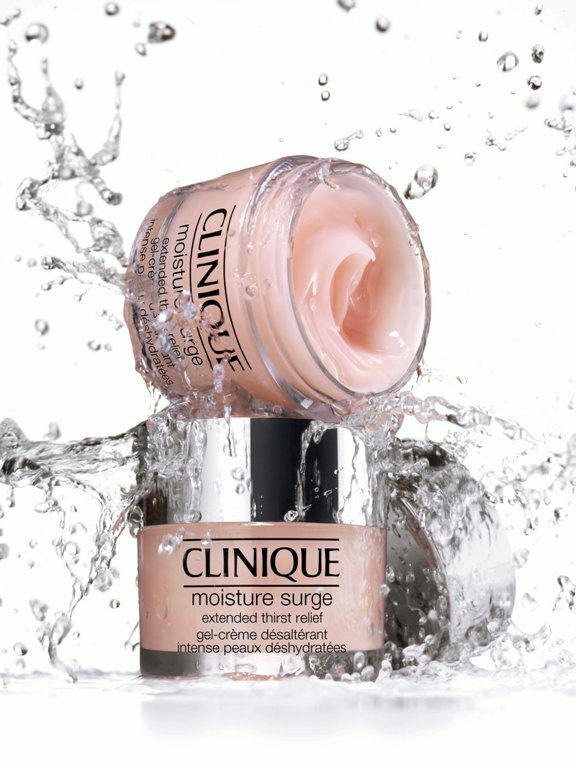 Something like the Clinique Super Rescue Cream, would be a far better replacement. I would also recommend the new Paula’s Choice Clinical Pads: http://www.paulaschoice.com/shop/whats-new/_/Clinical-KP-Treatment-Cloths/ in place of your 1% BHA. The lactic acid will help soften, hydrate, and reduce the amount of flaky skin. And there’s still 2% SA in it. Also, what % is your tretinoin prescription? If it’s too potent, using an OTC retinol product may be a better option. Let me know and keep my updated! I’ve heard that applying moisturizers to dampened skin is a great way to help it sink in. Now, I have no idea if this is hooey [and yet I’ve incorporated it into my routine dear lord what is wrong with me] but I’ve been using my toner to dampen my face for this process, I guess my question is – is that true? Is a dampened face the optimal canvas for moisturizer? Or has my entire life been a lie?! Noo your life is meaningful and not a lie haha! But yeah, water almost always increases penetration. Did you read the cleanser series? What about this article? Let me know if that doesn’t make sense! Thank you for responding! I wanted to clarify – if the cleansing process compromises the skin’s integrity such that it renders it unable to efficiently absorb new substances – would it be counterintuitive to apply my skincare immediately after my cleansing process? Also – are you still doing the series where we can send you our skin care regimen for critique and pointers? I feel like my routine is in dire need of some hard-handed, no nonsense [but hopefully affectionately given] advice. Hm, I’m not sure where where I said that the skin cannot efficiently absorb new substances. With proper cleansing, it certainly can. The occlusive agents and humectants in a moisturizer/toner will keep a majority of the new substances from escaping. “At the minimal point of water concentration, the skin exhibits a decreased lipid content, which inhibits its ability to prevent foreign material from passing through” – foreign material I took to mean, “my skincare” haha. And I totally understand about being busy, your maintaining this blog at all is already a godsend. If I have any specific questions I’ll ask, if it’s not too much of a bother, but life has a way of catching up with all of us! 1.I didn´t understand that part regarding penetration (My English is not that good). So, does using a toner and then applying your serum on top would enhance penetration? 3. you used a lot of these thermal water sprays for pictures. What do you think of them? Glad you liked the read! 1. It depends on a variety of factors like the viscosity of the toner and the serum, the primary base material of your serum, etc.. But generally yes, a toner will enhance penetration. 2. If you don’t want to wait 15 min, at least wait 1-2 min so that the liquid AHA/SA “sets.” This will decrease the rate of mixing between the chemical exfoliant and your serum. Although, if your serum is non-aqueous or contains very little water, then you can go ahead and apply one right after the other. 3. Oh I just used pictures that look nice haha. Thermal waters are generally just basic toners. They are not in a special category; it’s all just marketing. Just one more thought, because the ingredients in a toner are at a minimal concentration, even if a toner contains lets say B3, which my moisturiser doesn’t, I will not get much from that B3 anyway… The longer I think about the toners, the more it leads me to the opinion, that we don’t really need them. I use a toner anyway, as I like applying my serum (PC, very silicon) on a wet skin –> in my case, it is a toner-wet skin, which is better than pure water, I guess. John, I have just read on Futurderm that Niki introduced you as “aspiring dermatologist”. Have you actually finished your study? How is it going, if you don’t mind me asking? Honestly, I’m not quite sure at this point in my life. It’s a long story… so I won’t bore you haha. Yes, the Anti-Redness one is a pretty fantastic “toner,” and I’m glad you’re liking it. Tap water can slightly alter the pH of the skin after cleansing, as its pH is slightly basic. However, what makes tap water basic is the total (though few) interactions of several common minerals with the water molecules themselves. These interactions are negligible when used with a proper cleanser, as well as a well-formulated toner/moisturizer/chemical exfoliant. As for the dehydration you’re experiencing, even though its a syndet cleanser, it can still be irritating depending on a variety of factors like the amount used, time left on skin, etc… But if your skin is inherently dry, most cleansers that don’t leave a residue (not soap scum), will require you to moisturize afterwards anyways.